In my Retcon post, I touched on the idea of using a death to propel a story forward. I wanted to expand on this by discussing three deaths that happened in our beloved comic pages that were both surprising and pivotal in comics. As an added wrinkle, these three deaths weren’t super heroes but were impactful nonetheless in the story lines of the super heroes we know and love. The first death actually made the news when it happened, calling for comic book writers to be more responsible because kids were reading these stories. All this uprising for a fictional character! 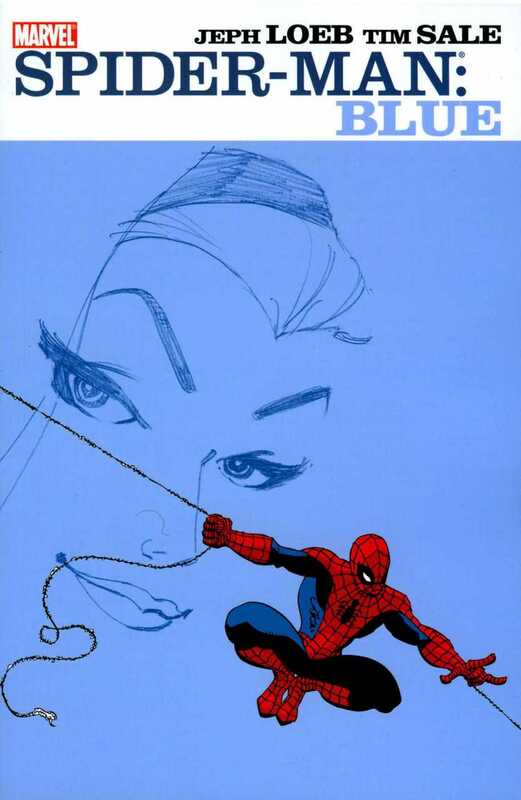 That character was Gwen Stacy, the love of Peter Parker’s life. What was so surprising about this death was how it occurred. She was taken by Green Goblin and as she fell from the bridge, Spider-man catches her, making us believe he saved her. But due to physics and gravity, the impact of Peter catching her from her fall actually caused her death. Because Peter had super strength, his body could withstand a lot more than normal humans. 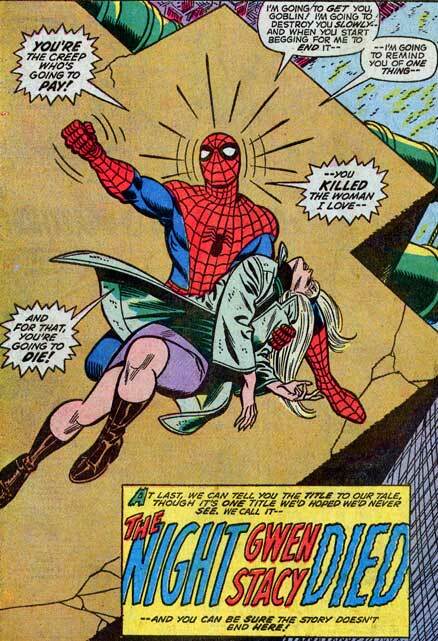 Her death was pivotal in Spider-man’s story, adding to the words Uncle Ben told Peter. He had the power to save people and make things better, but it doesn’t mean he’s exempt from the rules, like gravity in this case. This death still gives me the feels today. Tim Sale and Jeph Loeb wrote a great story called Spider-man Blue that I recommend to everyone who is a Spidey fan to read. It’s a great cathartic piece that I’m not afraid to say that left me with a few stray tears for Gwen. The second death has been used in support of gender equality in comics since it happened and it spawned a new term that is synonymous with the fight for equal representation. Fridging is a reference to women being damsels in distress in male dominated stories and a prime example is the death of a Green Lantern’s girlfriend. 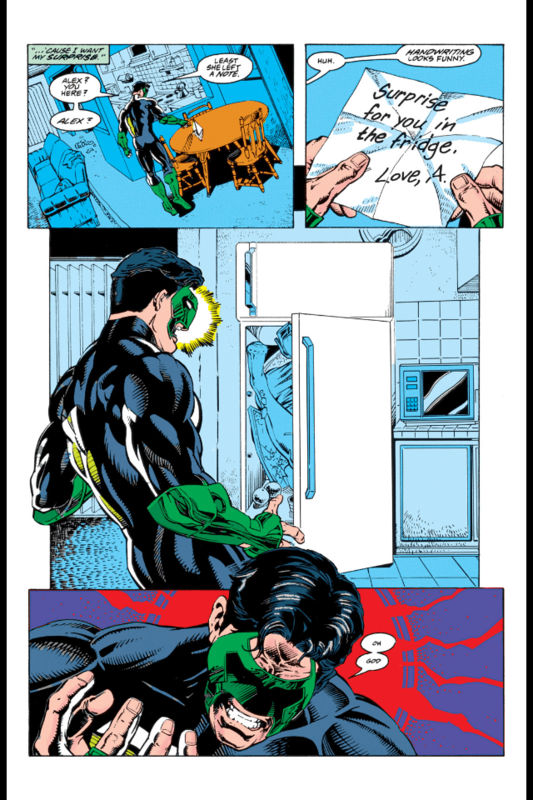 If you weren’t aware, there are a number of different Green Lanterns and this death affected Kyle Rayner. In order to get to Kyle, his enemies killed his girlfriend, Alexandra DeWitt, and stuffed her into a refrigerator. This was the last straw in the exploitation of females in comic stories, even though strong female characters were present in other stories. But it definitely brought to light the fact that it wasn’t the best plot strategy, and that women shouldn’t be used as tools to propel the story forward. The last death I wanted to discuss was just a brutal show of force and power, reiterating to the reader that anything can happen in this post-apocalyptic world and that everyone is expendable, even main characters. In issue #100 of The Walking Dead, we learn that sometimes zombies aren’t always the most dangerous thing in this world. 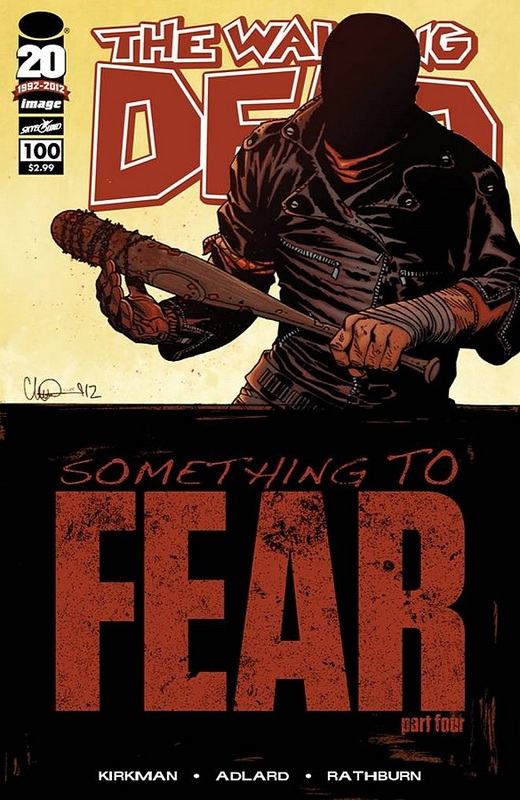 With a smirk and baseball bat wrapped in barb wire, Robert Kirkman’s story arc called Something to Fear introduces us to the villian, Negan, who bashes in Glenn Rhea’s head in with Lucille until he’s just a puddle of blood, skull, and brain matter. My good friend immediately threw her copy of this comic across the room after reading this horrendous event. I was floored when I read this, especially after meeting the actor who plays Glenn on the AMC television show! But keeping with the theme, this new world that Kirkman has created for us is as brutal as this death was. It reminds us of what the characters have to face and in this occasion, not at the hands of zombies. Plus, Kirkman is known to kill off main characters ever since this comic started. But the way Glenn died was one that made me take a few months break from the story arc. RIP buddy. These three non-superhero deaths definitely got readers talking. Death in comics will always happen and typically if you’re superhero, you’ll somehow come back eventually. In these cases, they did not. However, Marvel found a way to bring back Gwen Stacy by introducing other universes and now she’s web-slinging back into our hearts as Spider-Woman in Spider-Gwen. But aside from that special case, death will continue to be a method to move characters forward and remind us of our own fragility. Though these deaths happen in fictional stories, they can linger years later and adds to the complexity of the characters we read and enjoy.